by Lazybrook Civic Club - January 23rd, 2015. In a very Houston-like way, Jaycee Park is surrounded by industrial warehouses on one side and a nice residential neighborhood on the other. The park that connects them is big, green, and full of things to do. 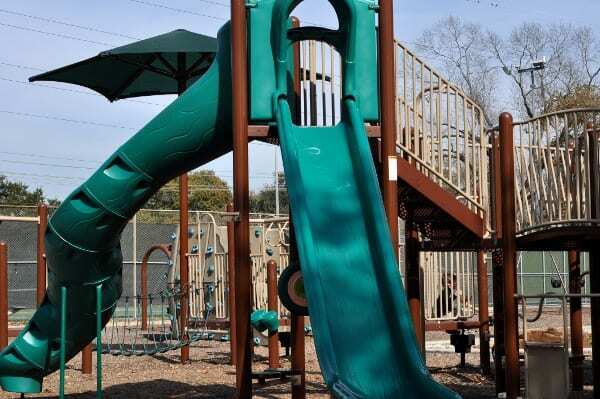 There are swings, a playground, jogging trail, tennis court, basketball court, baseball field and small splashpad. Many of the features are very unique and can keep you busy for a long time.